This unique sculpture gallery presents works of Polish female artists active at the turn of the 19th and 20th centuries. Female sculptors of that period did not experience the same kind of fame which was enjoyed by their male counterparts, and even now remain overshadowed by their successors – female sculptors of the emancipation era, who could take up their regular studies at the Academy and pursue their artistic career along with men. In the nineteenth century, the status of a female artist was different than in the first decades of the twentieth century, and completely incomparable with the situation in contemporary Poland. For a long time it was believed that only men can be endowed with creative genius, while women may have “good taste” at the most. The assessment of women's work tended to be accompanied by the suspicion of nostalgia, sentimentality, immaturity and amateurism, solely on the basis of gender. 19th-century female sculptors' path was not easy also because of the prevailing opinion that sculpture is an inappropriate art for women, since it requires the use of physical strength. As a result, the names of men involved in sculpture are now rooted in the collective consciousness, while their female counterparts are only known to professionals and art enthusiasts. Sculptures from our collection are mostly cast in plaster – a substance susceptible to damage, which is rarely displayed for conservation reasons, and whose loan to another exhibition institution is very difficult. An excellent solution, which reconciles conservation considerations with the mission of sharing the museum collections, is an online gallery – a safe and convenient medium for presenting works made of delicate materials. High quality photographs make the experience of viewing the works comparable to admiring them personally in the exhibition hall. Works made of readily available and inexpensive plaster were often used as student exercises or moulds in an intermediate phase – demonstrating what the work would look like in its final form: cast in bronze or carved in stone. Unfortunately, a significant part of these plaster models was never produced in a more representative form, and storing it in museum warehouses makes it impossible to present to a wider audience of art lovers. An online gallery therefore opens new opportunities of presenting sculpture collections of the NMK. 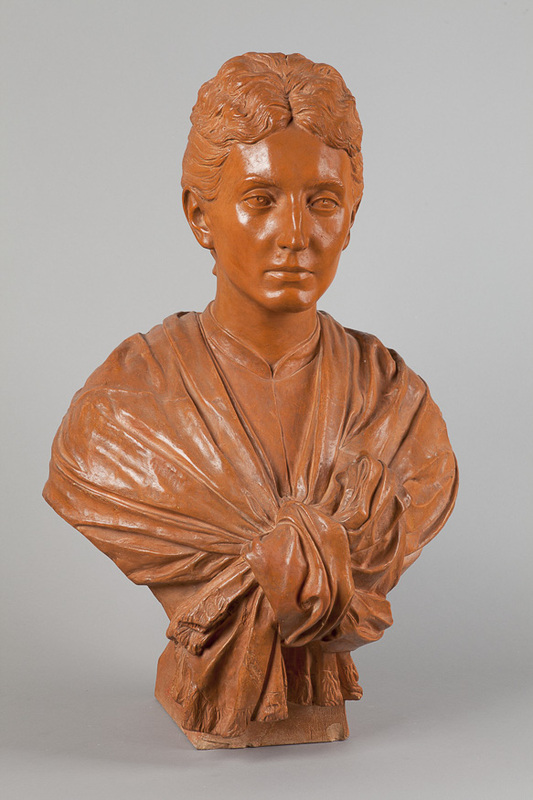 Text by Agata Małodobry – art historian, curator, adjunct at the NMK, supervises the collections of Polish sculpture, author of an album dedicated to the art of Maria Jarema. 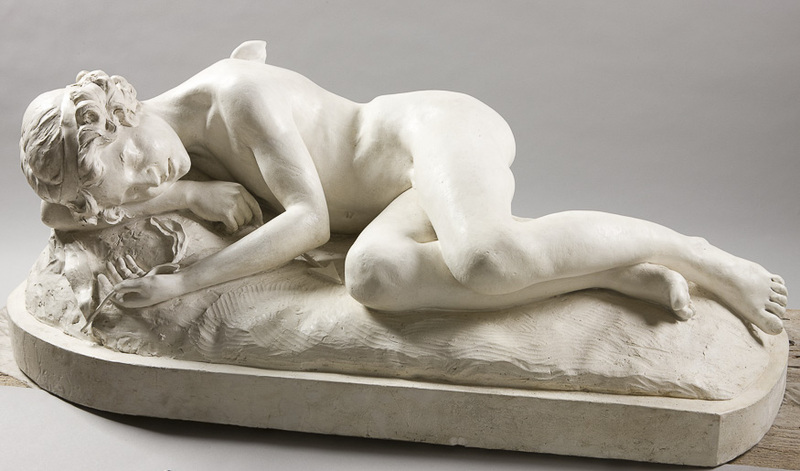 Natalia Andriolli, Sleeping Cupid (Cupid with a Lily) 1896 A graceful and sweet version of Classicism inspired by Antonio Canova's style, strongly influenced by 19th-century sentimentalism. Natalia Andriolli studied in Paris, where she had her atelier, in which she created her portrait sculptures, genre compositions and artistic ceramics. She was awarded a gold medal at the Paris Salon in 1896 for this sculpture. Antonina Rożniatowska (1860 – 1895), Portrait of a Woman (ca. 1880) This is probably Rożniatowska's self-portrait. 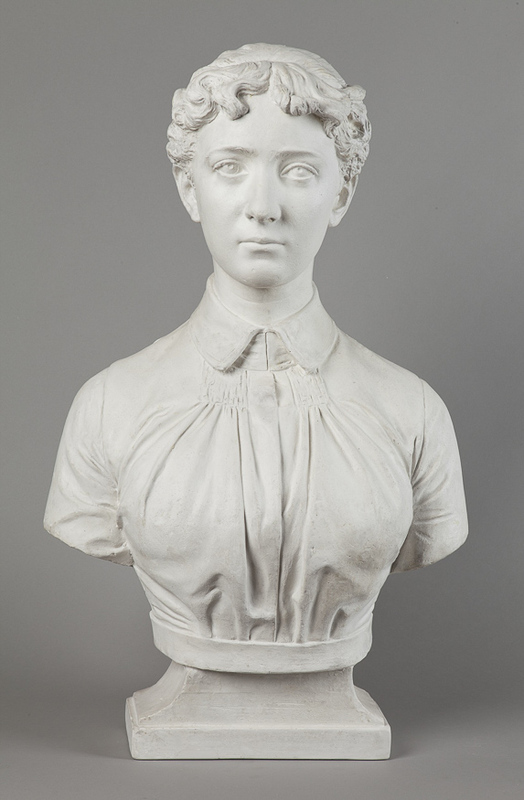 The bust of a young woman, seemingly quite confident, as evidenced by a cool expression of her face – without a shadow of fawning or studied shyness. What is worth our special attention is the details: a realistically arranged blouse, a visible lining of the collar and decorative ruffles underneath it. Antonina Rożniatowska (1860 – 1895), Portrait of Helena Michałowska Please note the extremely finely depicted drapery. The sculpture is made of plaster which was patinated in order to resemble terracotta. According to the museum inventory, it is the work of a 16-year-old sculptor (1876). Truly hard to believe! Antonina Rożniatowska (1860 – 1895), Wajdelota (1881) The topics addressed by Rożniatowska did not differ from the mainstream academic art of the nineteenth century. Patriotic themes are represented by a sculpture which is on display in the Gallery of 19th-century Polish Art in the Sukiennice, where it perfectly complements the painting of that period. In the nineteenth century, lyrists and wajdelotas, itinerant poets who through their songs passed on centuries-old tradition – a source of knowledge and the nation's past, were not an unusual phenomenon in Lithuania. In art, Wajdelota – also as portrayed here by Rożniatowska – symbolizes the continuity of the tradition, and the belief that oral transmission is more durable than what is recorded in the books. Rożniatowska implies that the nation requires a generational bond and a sense of community, and only with the awareness of this state of affairs, a fight for independence is possible. 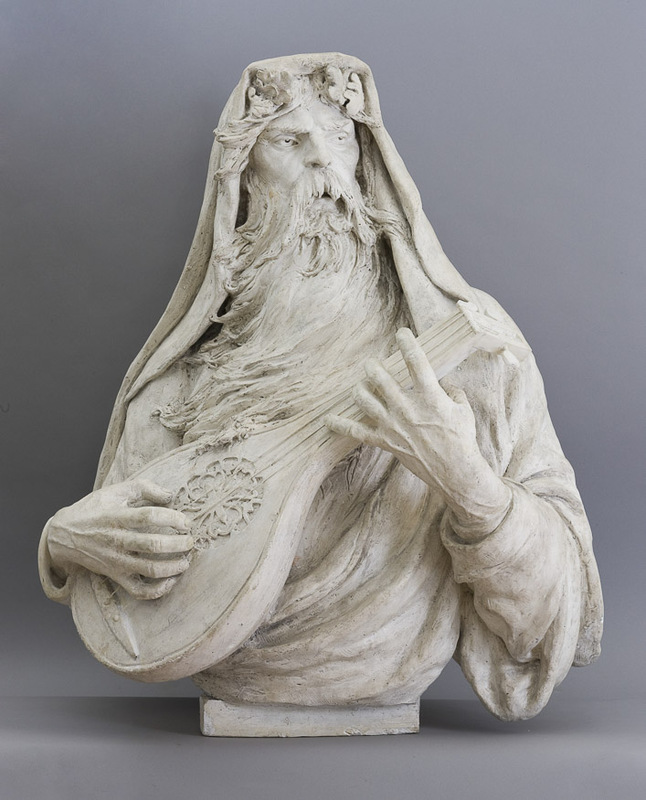 The sculptor depicted wajdelota as an old man with a long beard and an inspired face – in accordance with the description we remember from Konrad Wallenrod. 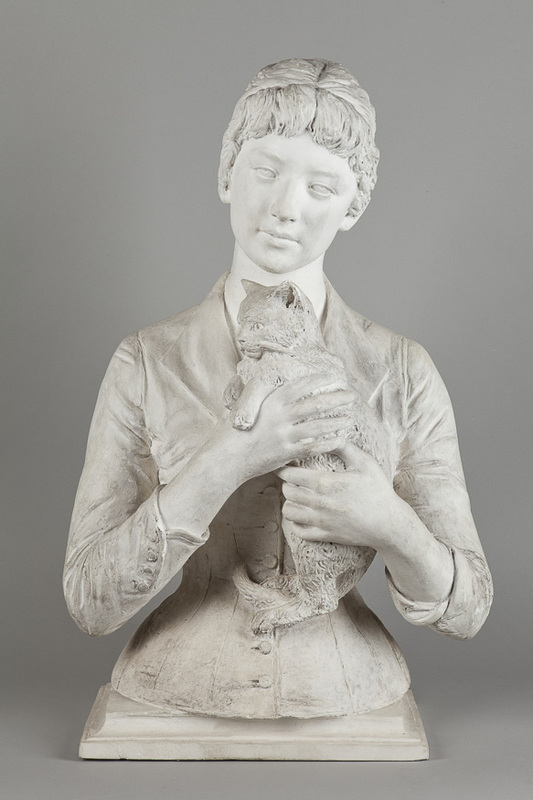 Antonina Rożniatowska (1860 – 1895), A Woman with a Kitten (1888) This sculpture was created in a playful tone. A realistically depicted young woman is smiling and stroking a kitten. In Rożniatowska's days, the outfit worn by the model was very typical for young, chic women – the top part of her dress is clearly narrowed at the waist, fastened with fabric-covered buttons and features a wide collar and sleeves with decorative endings. The work was inspired by Michał Bałucki's poem Nie w porę [Untimely]. Antonina Rożniatowska (1860 – 1895), Portrait of Michał Bałucki Portrait of Michał Bałucki – an author of popular comedies who committed suicide in 1901. (In the TV series titled Z biegiem lat z biegiem dni [With the passage of years and days], Andrzej Wajda poignantly depicted the drama of a writer who ceased to matter in Krakow literary circles.) Rożniatowska's sculpture was created around 1888, when Bałucki was at the height of his fame. Antonina Rożniatowska (1860 – 1895), Lotus The Lotus Sculpture was awarded a medal at the Universal National Exhibition in Lvov in 1894. One can notice the change in style influenced by new trends in sculpture: more sketchiness and boldness in modelling. 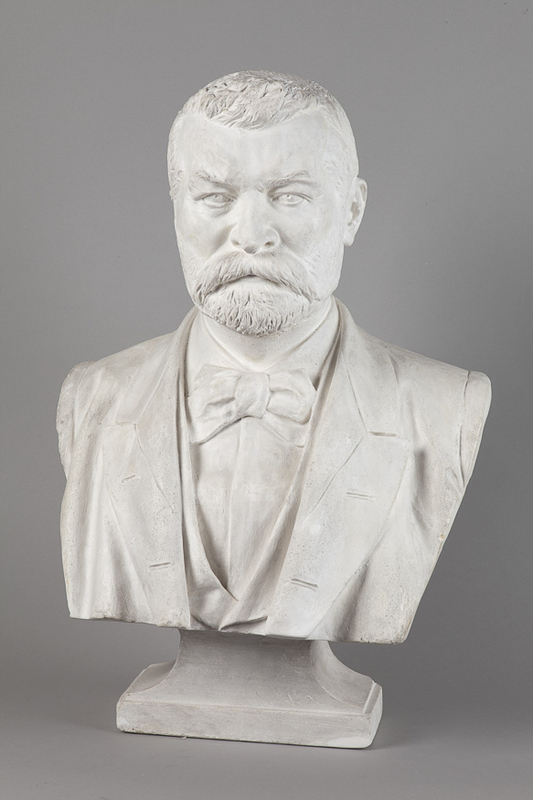 This bust is very different from the static and somewhat rigid portraits created in previous years. The face of the depicted a woman is extremely vivid and multidimensional. The style of the sculpture can be placed somewhere between Naturalism and Art Nouveau. Jadwiga Milewska, Portrait of a Woman This medallion, dating back to 1890, depicts the profile of a young lady with her hair arranged in a thick plait at the back, fastened with a decorative pin with a rhombus-shaped head. Jadwiga Milewska, Portrait of Marceli Guyski (Portrait of a Man) Portrait of both Jadwiga Milewska and Antonina Rożniatowska's teacher. 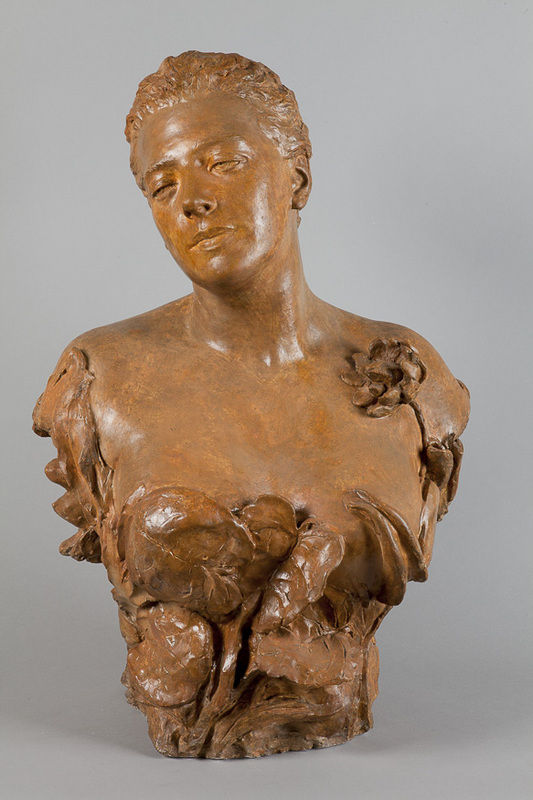 We do not know when Jadwiga Milewska was born and died, but the sculpture's dating and its exhibiting history suggest that the artist's best period of activity coincided with the late years of Rożniatowska's life. We can only guess that was slightly younger. 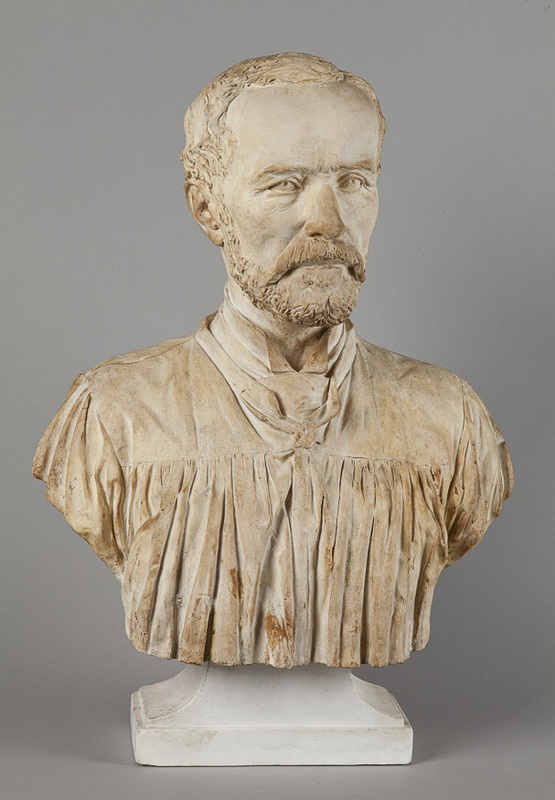 The bust of the esteemed sculptor-portraitist dates back to 1892, and was presented at an exhibition organised by the Krakow Society of Friends of Fine Arts a year later. 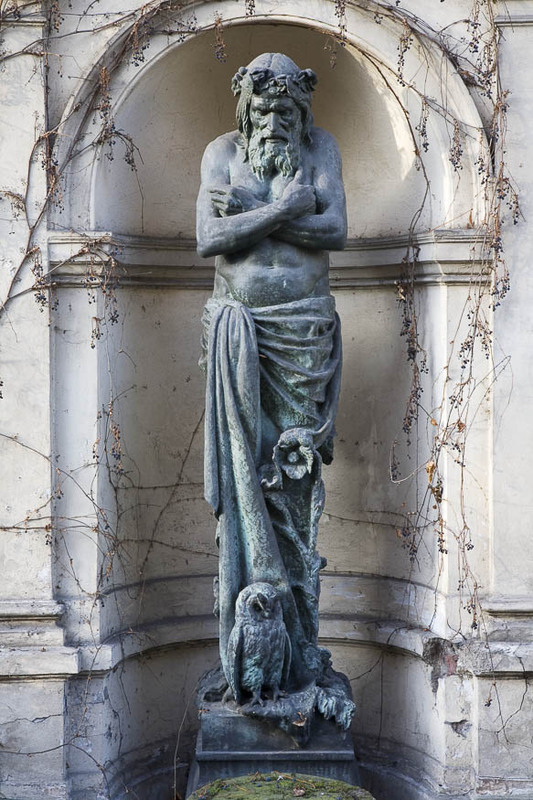 Teofila (Tola) Certowicz (1862-1918), Morpheus, 1889 The Morpheus sculpture constitutes part of the fountain situated in the garden of the Czapski Palace. Morpheus is depicted as a bearded man in the prime of his life. His head is adorned with a wreath of stylized flowers and poppy fruit, while his hands are crossed on his bare chest. Densely draped fabric decorated with poppy flowers is wrapped around Morpheus' waist, while an owl – a nocturnal bird – rests at his feet. Certowicz's work radiates a reflective, poetic aura which makes it a harbinger of Symbolism in Polish sculpture. The cast of the sculpture was made in Paris, as evidenced by an inscription placed on the pedestal and a signature of the French founder. The artist donated the sculpture to the National Museum in Krakow in 1903. 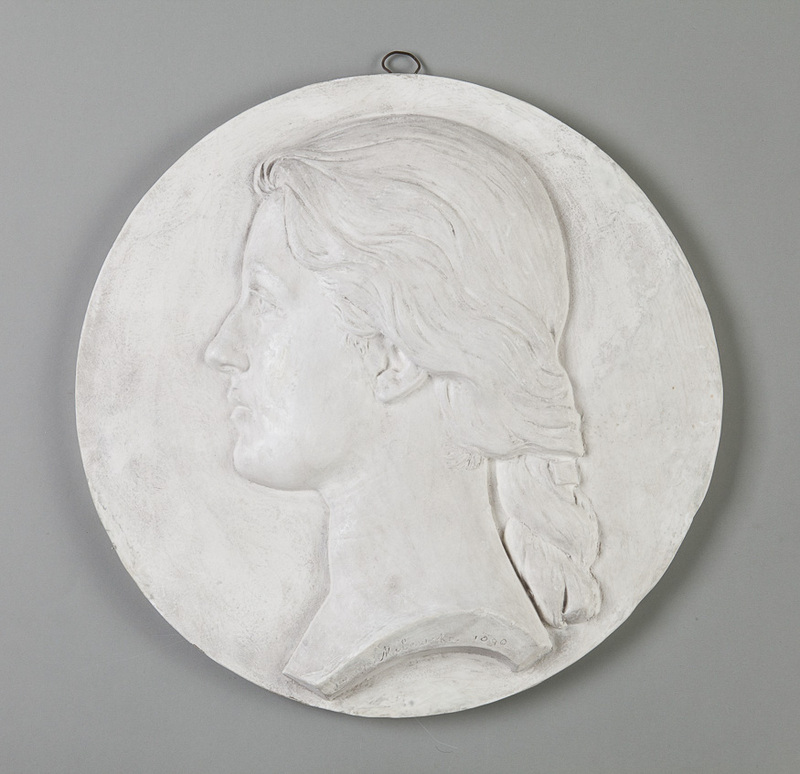 Certowicz is one of the few nineteenth-century women who achieved real success in the field of sculpture. She spent 11 years in Paris, where she took lessons from famous French sculptors. After she had returned to Poland, she successfully displayed her sculptures in prominent exhibition venues. In 1897, she founded an art school for women, which ended its activity four years later due to financial problems. Certowicz slowly withdrew from artistic life and eventually joined the convent of the canonesses. 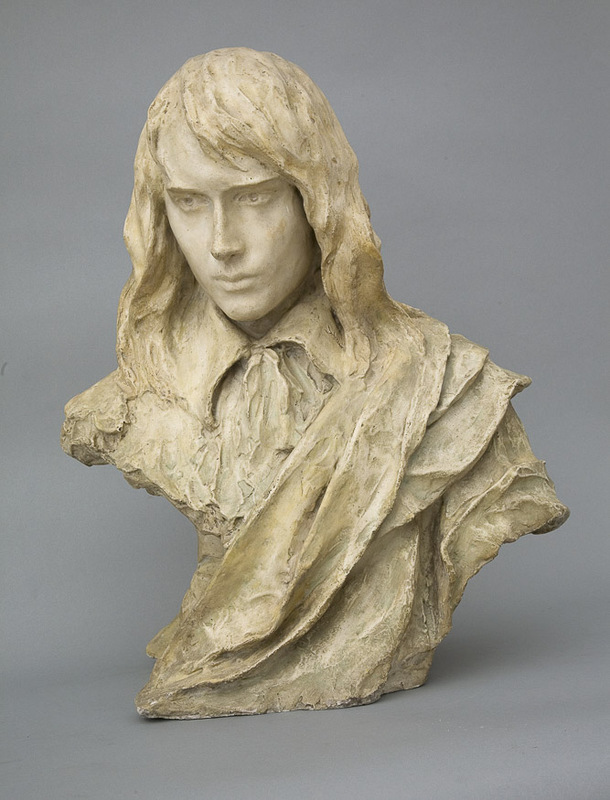 Miss Luna Amalia Drexler (1882 – 1933) The bust of a teenage boy is inspired by Thomas Gainsborough's painting The Blue Boy (1770), though it is not a faithful reproduction of the character from the English painter's work. The sculpture is modelled with ease and a certain amount of sketchiness, which resembles the atmosphere of Gainsborough's painting. The work is an example of Miss Drexler's fascination with 18th-century aesthetics and its gallantry.